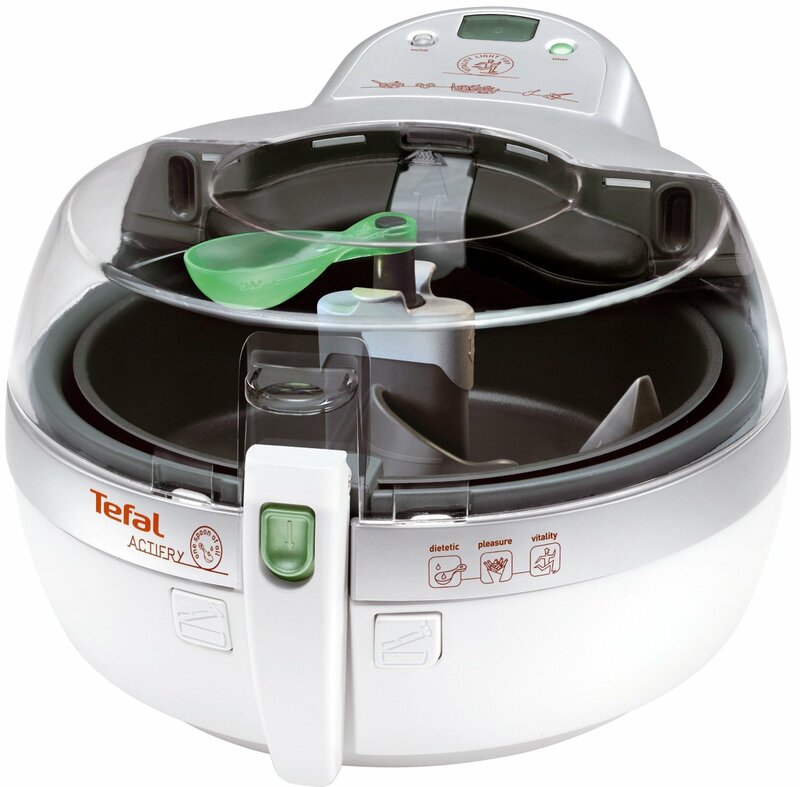 Tefal Actifry or vanilla slice? I suppose Einstein was just sitting minding his own business at his desk in the Patent Office in Zurich when his neat idea about relativity came flooding into his mind. Well I had a similar experience this evening. I was just sitting here listening to nineties band The Magnetic Fields playing All My Little Words when it suddenly came to me that if somebody asked me I’d be hard pressed to say whether the Tefal Actifry is better than a vanilla slice. Now on the one hand, if you had just sat down to a cup of Darjeeling or Assam and were looking for a suitable cake to complement it, then excuse me but the Actifry just wouldn’t cut it. 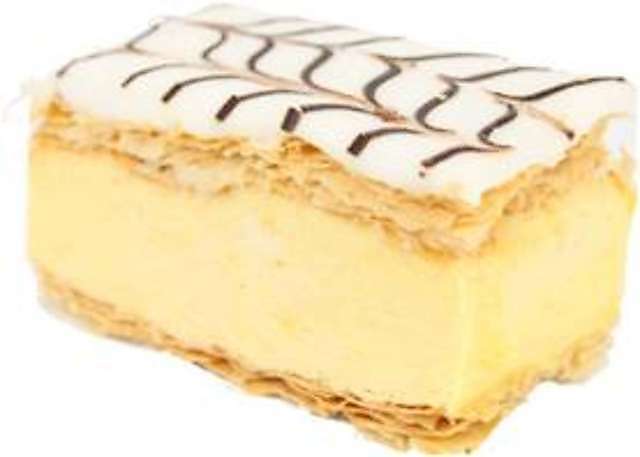 The vanilla slice wins hands down, with its layers of light, crispy puff pastry (did you know that rough puff pastry is exactly the same thing as puff pastry? If you didn’t, then that fact alone is worth visiting this page for) spread with delicious fruity strawberry jam; topped with a layer of sweet icing; and sandwiching mouthwateringly rich crème patissière absolutely jampacked with fresh from the dairy double Cornish cream and delicately tinged with real vanilla, from a real vanilla pod grown in Madagascar. And by the way, there aren’t really any penguins in Madagascar – you need the John Lewis Christmas 2014 advert for those. But then if you’re fancying chips, at a time when only chips will do, and the chipshop is closed, or you’ve been advised to lay off the chips because of their fat content (29.3% on average), then the trusty old Actifry will not do a bad job for you. Peel and chip the potatoes – the thinner the better, not big fat ones that I don’t really care for – and rinse them under the tap to remove the starch. (I’ll cover varieties of potato in another post). Dry with a paper towel and load into the Tefal and turn it on. After five minutes, when all the surplus water will have been driven off by the heat, open the machine and add a single tablespoon of extra virgin olive oil from Italy (forget Greek or Spanish, only Italian will do). Turn on again and wait 20 to 30 minutes till the chips are browned to your liking. Open the machine again and eat all the chips as fast as you can! Hardly any fat, crisp as can be and soft and light in the middle. So you can see my dilemma. The Actifry, apart from chip quality, is pretty rubbish, costing a fortune and being made of flimsy plastic, so that the lid breaks and you have to buy a new one for another fortune, or the paddle that agitates the chips around breaks off and you have to buy another one. So that does suggest you have to be really desperate to forgo the vanilla slice for the chips. But if you’re desperate, then, well, there you go. I was just wondering whether I was desperate for chips at that very moment when one of the universe’s most arcane secrets came to me. Are you ready? 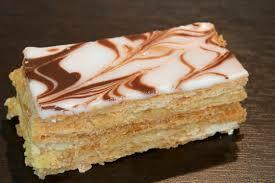 The secret is that the mille-feuille is actually several vanilla slices in one. So you get at least two layers of crème pat, preferably three or four, each with its own jam layer. Beats even crispy chips every time. No wonder that Napoleon christened it the Emperor of cakes.